Completed in 2010, this 109,000 s.f. 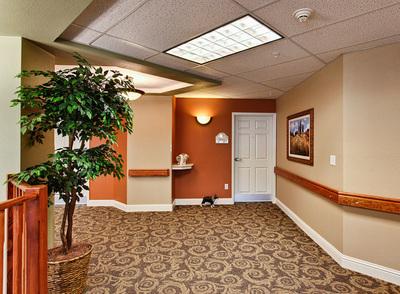 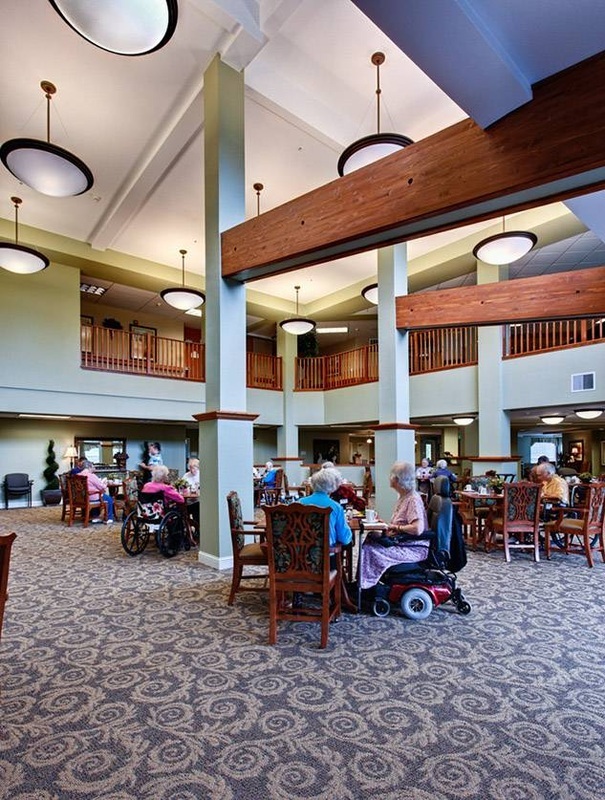 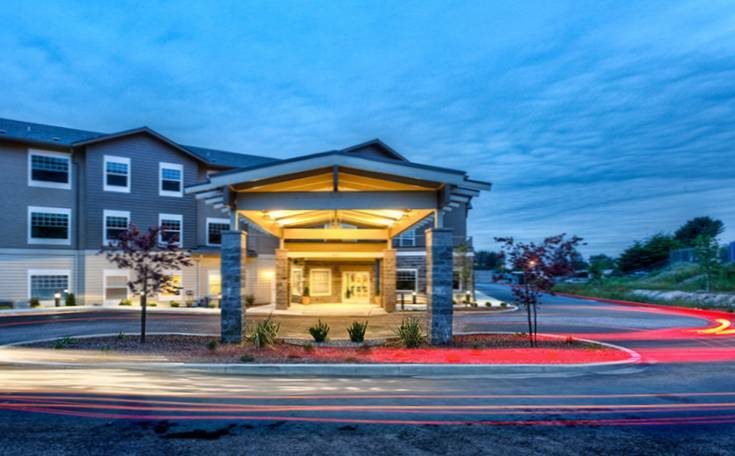 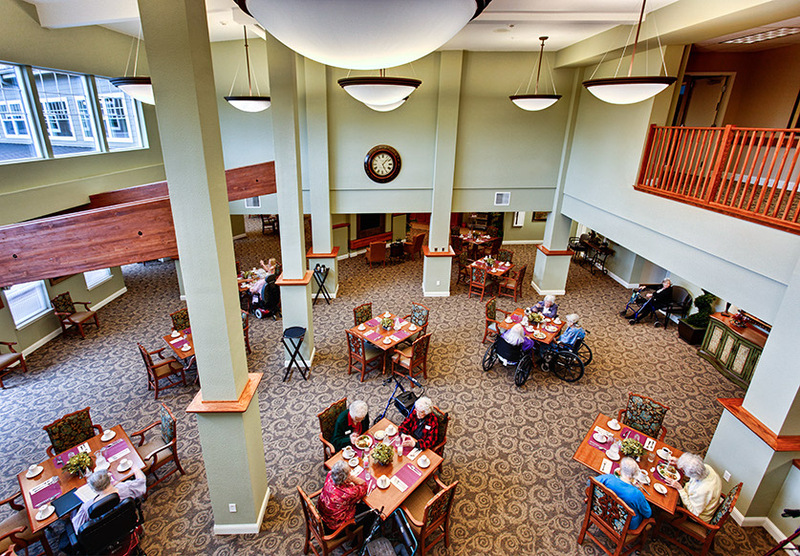 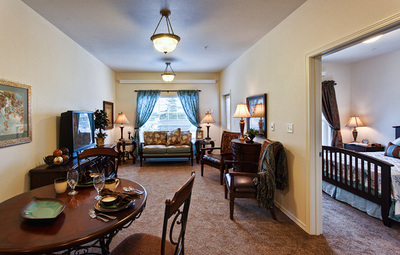 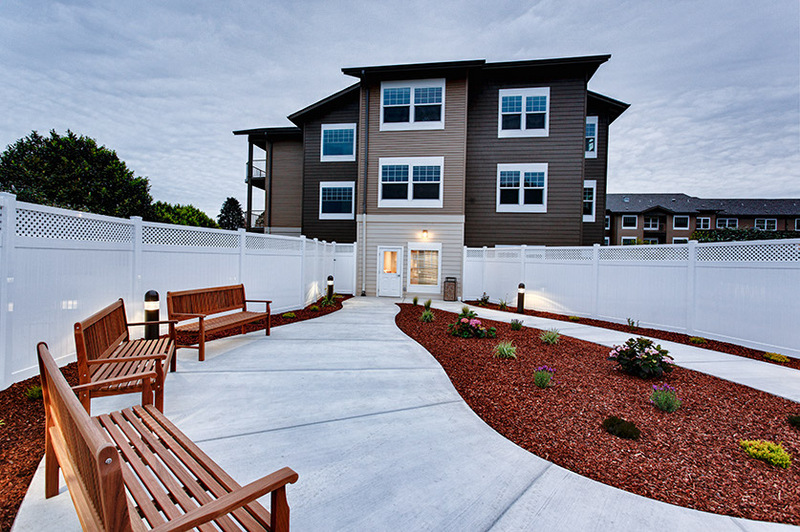 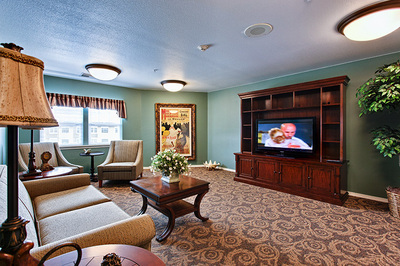 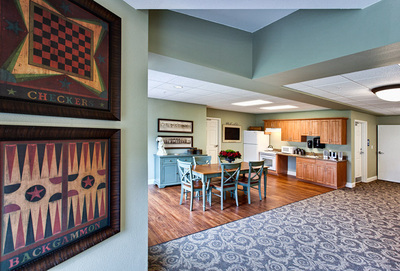 building contains 119 Congregate, Assisted, and Memory Care units near the ocean in Brookings, Oregon. 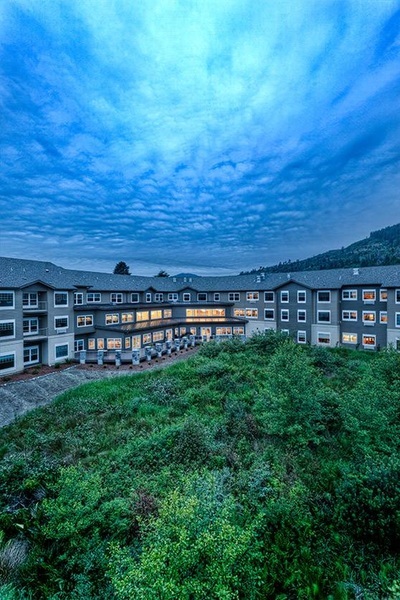 Located over an existing wetland, the structure was designed to work with the site conditions by wrapping around the wetland and bridging over a seasonal stream. 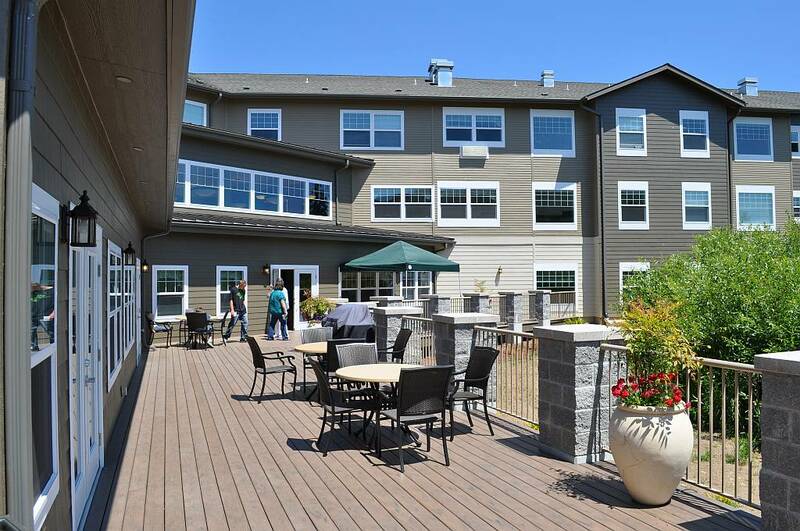 A large deck wraps the entire length of the common area to engage residents with the outdoors. 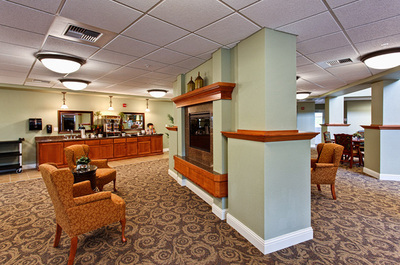 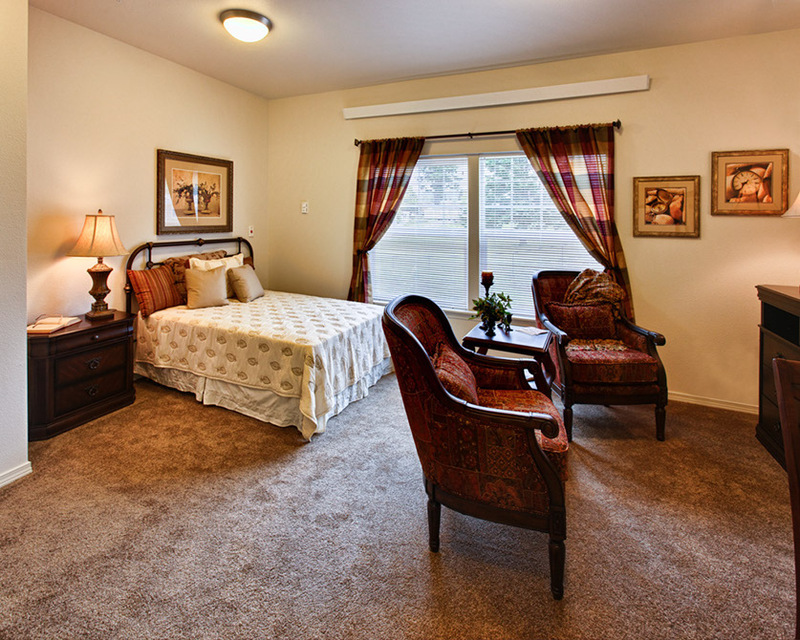 The double height dining area and fireside lounge overlook the flora and fauna regularly seen inhabiting the wetland. The atrium space provides a unique opportunity to visually connect to the floor above with a second floor corridor that overlooks the dining area and wetlands beyond! 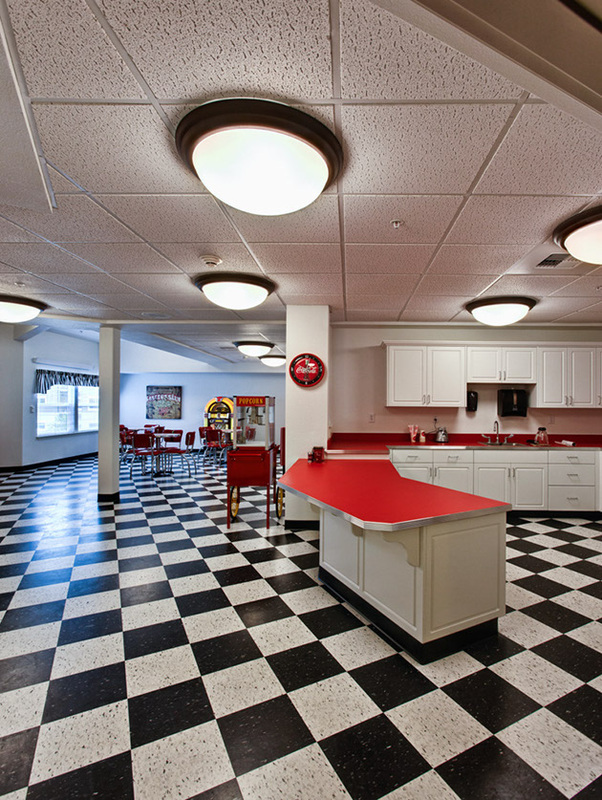 To add to the vibrant scene, a 50’s themed café and billiard and game room on the second floor are open to the activity below. 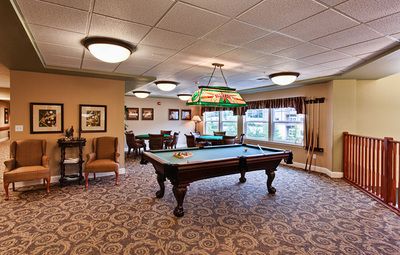 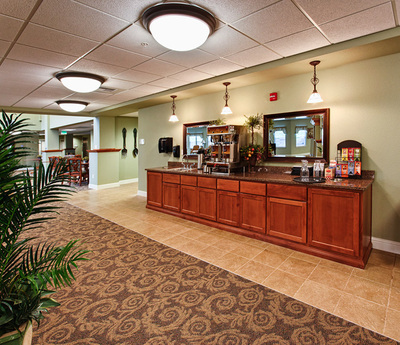 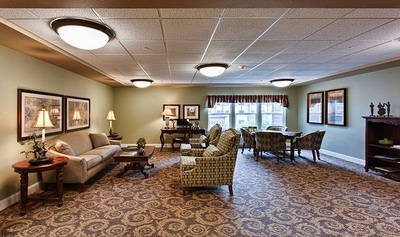 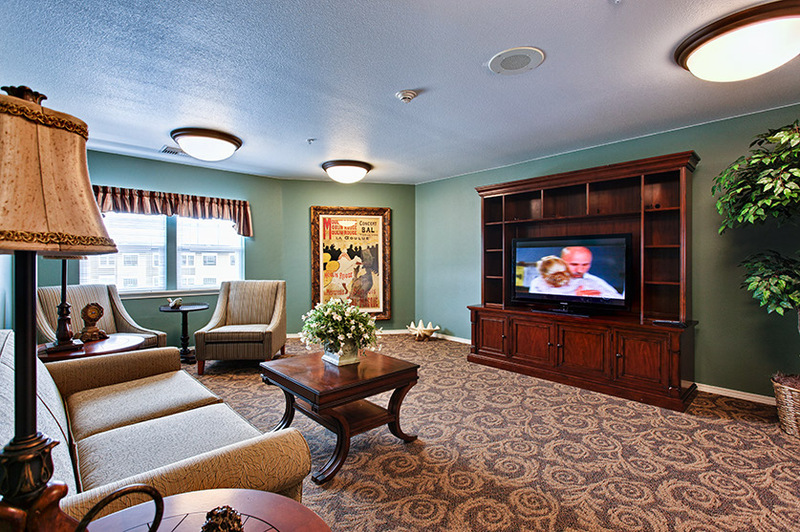 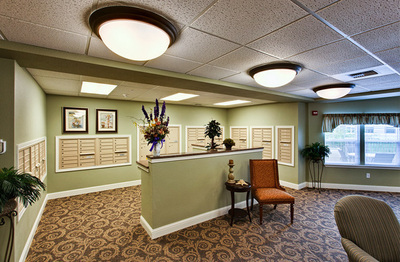 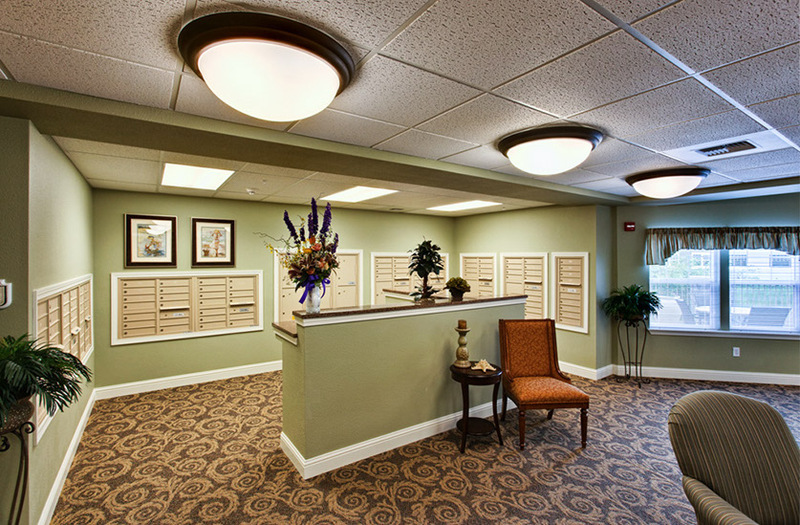 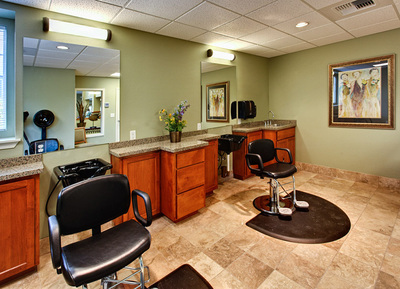 Several other activity spaces to include a salon, TV lounge, and kitchenette are dispersed throughout the building to encourage social activities among resident corridors.